Telephoto lenses are designed for shooting sports, animals, moons, and other photography longer than standard lenses. Looking for a great telephoto lens for Nikon DSLRs? Today, we are showing you a list of best telephoto lenses for Nikon DSLRs. There are two kinds of telephoto lenses: Telephoto Prime Lens and Telephoto Zoom Lens. 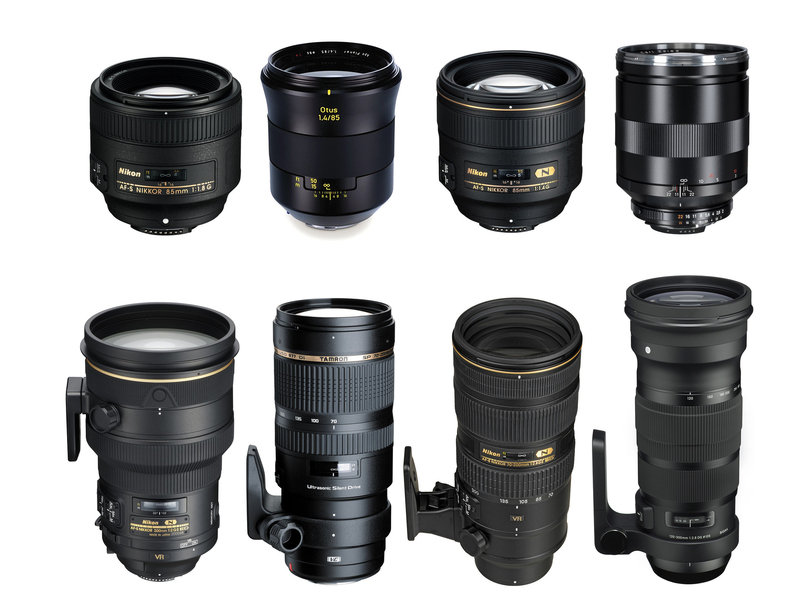 Here is the list of best telephoto lenses for Nikon DSLRs (Both full frame and DX). According to the DxOMark, below is suggestion of best telephoto lenses for Nikon. Below is most recommended Telephoto prime lenses for Nikon full frame DSLRs. Tested on Nikon D810, the best telephoto prime lens is of course the Zeiss Otus 85mm f/1.4 Lens. But this lens is very expensive, if you need a cheap one, the AF-S Nikkor 85mm f/1.8G is your best choice. At super telephoto prime lens range, the AF-S NIKKOR 200mm f/2G ED VR II lens is a great lens for Nikon DSLRs. If you are looking for a Telephoto zoom lens for Nikon full frame DSLRs, The Tamron SP 70-200mm f/2.8 is the best lens, even better than AF-S 70-200mm f/2.8G II lens. The new released Sigma 150-600mm lens is another great lens. As for Nikon full frame DSLRs, the best Telephoto lens for Nikon DX cameras is same, the Zeiss Otus 85mm f/1.4 Lens. If you need a cheap one, AF-S 85mm f/1.8G could be best choice for you. At super telephoto prime lens range, the AF-S NIKKOR 200mm f/2G ED VR II lens is a great lens for Nikon DSLRs. Below are top telephoto zoom lenses for Nikon DX DSLRs. Take a look. Tested on Nikon D7100, the best telephoto zoom lens are AF-S 70-200mm f/2.8 II and Tamron 70-200mm f/2.8.